Harrison herself has known transitions in her own life. 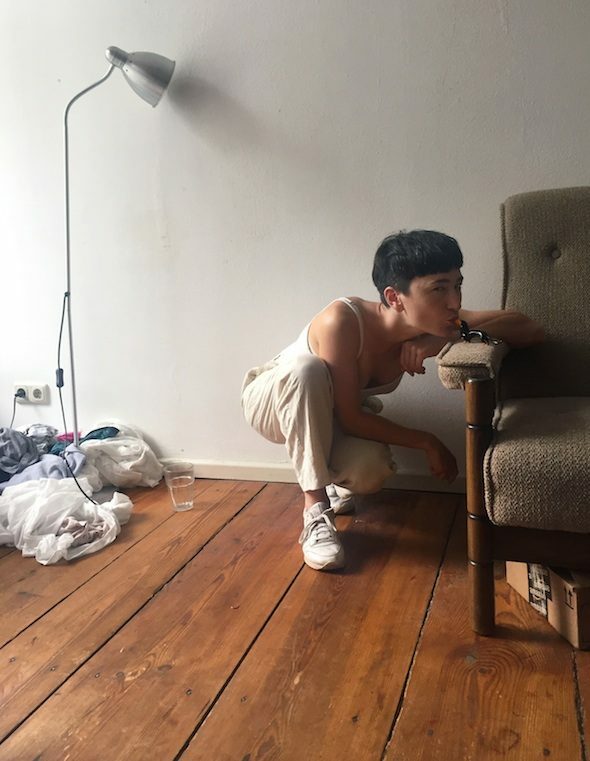 An Australian based in Berlin, she describes her situation as being similar to her characters: caught up in a world where proximity and intimacy interpenetrate and diverge often without warning. 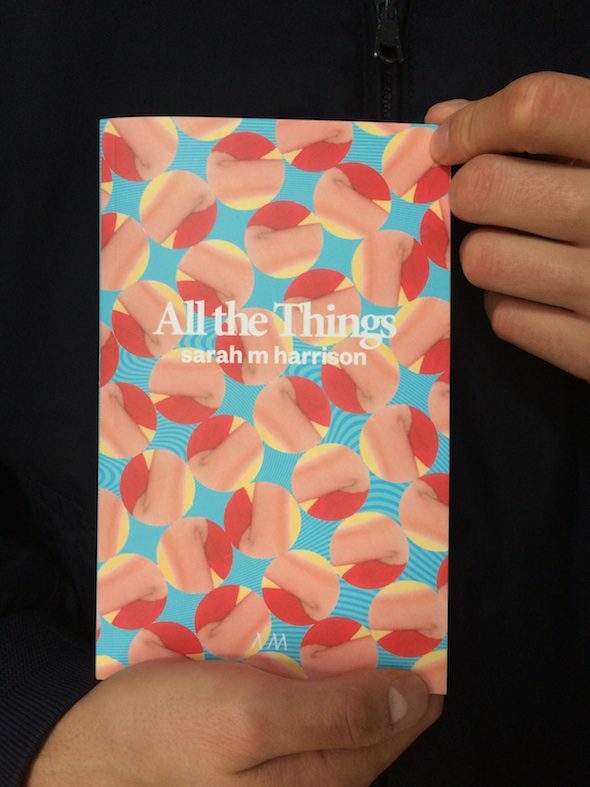 We spoke with Sarah M. Harrison in a cafe in Kreuzberg and discussed her novel and her broader approach to the construction of fiction, how form, character and style interact to create fractured, emotionally gripping narratives like that of ‘All the Things’. 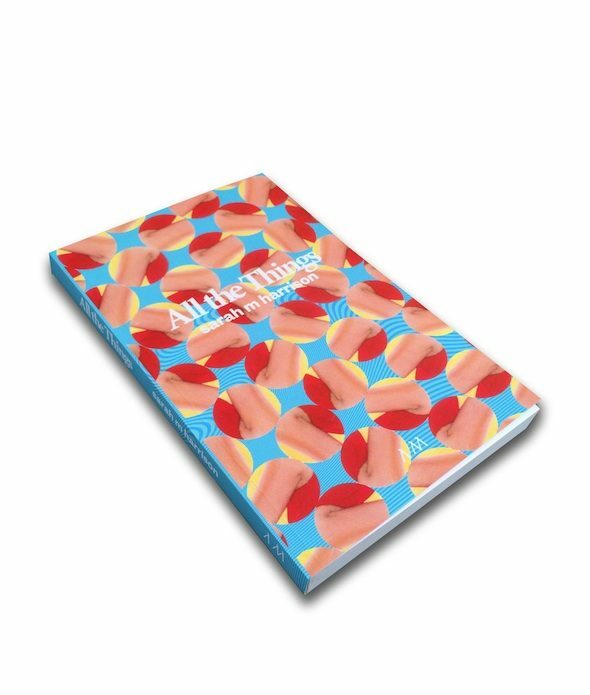 William Kherbek: ‘All the Things’ frequently enters the consciousness of various characters for periods of time and those intrusions often serve to drive the narrative forward. This prompts a question about the relationship between structure and character, do you feel that the ‘narrative’ that constitutes the fiction is as much driven by structure as character for you? Sarah M. Harrison: I think that it’s driven more by character than structure, actually. I think the structure was really intuitive in that it was written really quickly in a very associative way, though I had a lot of pieces of text or ideas that fell off another project I was working on that I wanted to put into the novella. It was a process of bringing it all together and then writing new stuff really chaotically and really quickly over the course of just two and a half days. In terms of structure, it was all a kind of mistake. I think that the idea is almost that there is not much of a distinction between the characters and there’s a reference to that in the book, to this sense of a hermetic world where there are perpetrators and victims, and to this idea of when people are in a closed environment, or are ‘in each other’s mess’ the whole time, they kind of dissolve into a really similar affect, or they say the same things to each other and repeat each other’s sentences. And I’ve experienced this when spending a lot of time with a specific group of people, affect becomes communal. WK: In adopting multiple narrative perspectives, do you feel that the book is informed at all by online-net culture, particularly the ways in which narratives and perspectives pile up in Web 2.0 comment thread culture? Was this effect something you were consciously aiming for, or was it even a consideration when you were working on ‘All the Things’? SMH: I think it’s just a product of my reality–spending a lot of time in front of a screen—and, also, the feeling that the internet and all the algorithms that drive it make the world really small, so there’s this sense of a really shrunken world, and everybody in it becomes the entire world to each other, but it’s so tiny and stagnant. That is a little bit how the internet starts to feel, particularly the way Facebook or Google or these big websites adjust what you are shown based on what they assume you want. WK: Does the status of the internet as a mediator, a place where you often experience text (as in IM or comment threads) instead of making face-to-face contact, matter in the way your characters reflect their experience? SMH: I think the ‘medium’ in the book, particularly in the narrative, is each person’s individual trauma, or the things that they’re dealing with. They’re not really dealing with a platform as such, but they’re always communicating through the feeling of whatever their past trauma is. I feel like that’s the mediating platform, this sense of trauma and catharsis. It really suits, this feeling of not being able to get out of yourself, or out of an identity position. WK: I was interested in the role of fiction as a kind of epistemology when I was reading your book. In ‘All the Things’, characters are frequently making assertions about knowledge, knowledge of the self, knowledge of each other, knowledge of facts. Could you speak a bit about the ways in which you approached or considered the question of “knowing” or understanding in the book, and whether this is a concern more generally in your writing? SMH: I could say one thing about this and that’s that there is definitely a tendency toward “splaining” mode, or a wikipedia mode in the book, but, I’m interested in how what you know basically informs the identity you want to construct around yourself; not just what you know, but how you explain it all, how you pull different references in to maybe explain yourself. WK: Your characters often seem to be on the margins of a number of discourses in ‘All the Things’. Do you consider marginality or peripherality (which I hope I’m not treating as the same concept) as major elements or themes in your writing? SMH: I’m not sure if it’s across my writing, but definitely in this circumstance where the kind of primary feeling is one of despair. And, I guess that does permeate most of my writing, because I think that it’s something that almost everybody is grappling with. I certainly am, and that creates a feeling of marginality. When I visualize despair, I feel myself in a kind of receding hole, and the world is becoming farther and farther away, so that, rather than being in the world, you’re looking at it from a kind of telescopic space. That’s the process of how I visualise despair, or depression, and, in terms of marginality, it’s kind of a dissociative feeling that you’re not inside of. I can imagine that it’s something almost every writer is going to deal with, because there’s always some feeling of disassociation in the process of writing. I don’t know if that’s true, but that’s how I imagine it. There may be other ways, of course.